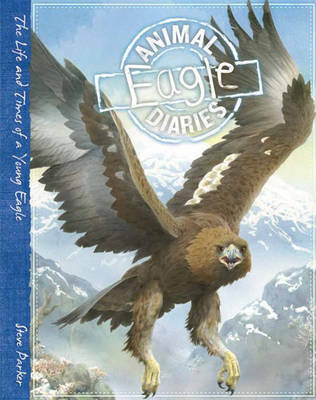 My name is Eagle and this is my very own diary. Please read it so you can find out all about - ME! I'm top bird in the avian world so sit up and take notice! I'll tell you why even big animals like foxes and swans are scared of me and I'll show you my eyrie - nest to you - high up on a telegraph pole! I hope you enjoy my diary - I wrote it with a bit of help from a human called Steve Parker. Animal Diaries are personal accounts written by young animal diarists. Sometimes funny, often scary, these first-hand accounts are highly entertaining, giving readers an intriguing insight into the life of each animal. Each book is a mixture of diary entries, informative extracts, sketches and fact-filled animal profile cards. Books are packed full of interesting information on the animals' habitat, diet, different stages of life and interaction with other animals. Incredibly vivid illustrations let young readers feel like they are immersed in the lives of the diarists, and may encourage them to start documenting their own adventures.